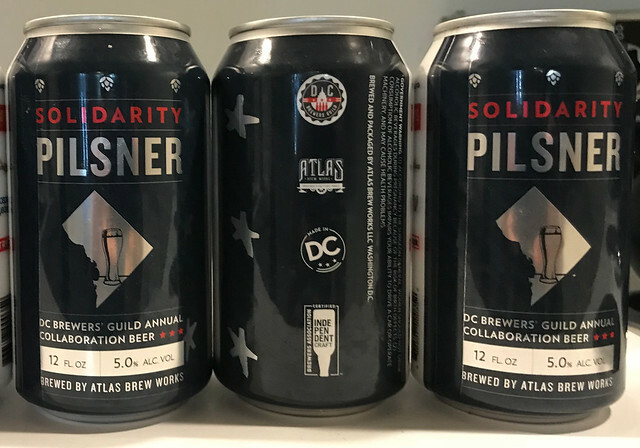 2018’s collaboration beer to celebrate DC Beer Week is the Solidarity Beer, a German Style Pilsner brewed by Atlas Brew Works. So of course I had to try it. Verdict: It is very, very drinkable and not too strong at 5% ABV. In fact, it’s light, a bit fruity, and quite tasty on your roof deck on a hot DC night. I purchased the six-pack (from Craft Beer Cellar DC!) and hopefully they have more, because I’m about to run out. Get some Solidarity and check out the entire DC Beer Week lineup. Also take a gander at going to the Lager Fest at City Winery this Sunday, August 19th to kick the week off.